Village View Post: BELIZE ON HGTV-MOTHER NATURE’S BEST KEPT SECRET! It seems that everywhere we turn Belize is splashed across magazines and in on-line articles as an affordable place to retire, a good opportunity for investments and is gaining popularity as a great vacation alternative to Cancun or other Caribbean destinations. Belize, often referred to as “Mother Nature’s Best Kept Secret” by the Belize Tourism board, is going through rapid changes, as tourists, mainly from North America come flocking to its coast. Developers are competing to build resorts and ocean front vacation homes that are still within reach to America’s middle class. What used to be one of the centers of the Mayan world is now a secret paradise for those seeking peace and relaxation. On the offshore cayes or islands at any time of the year you can find pristine beaches, with the friendly and accommodating citizens of Belize. With nearly 40 percent of the land and about 13 percent of the marine areas protected by government and private conservation agencies, Belize is authentic and offers an array of must see species of wildlife, the second largest barrier reef in the world, and is steeped in the history and culture of the Maya. But with all this exploding economic activity, many conservationists feel that we are harming the very thing that brings tourists and investors to our shores, the reef with its marine life, the wildlife preserves and all the many creatures. On September 7, 2010 at 10:30 P.M. EST Belize will be featured on HGTV's House Hunters International as a place to own beach front properties. Be sure to tune in!!! 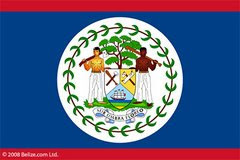 Please click on this link to watch a short video of homes for sale in Belize. Belize will soon not be best kept a secrets anymore!!!! Everybody and his mother wants a piece of our paradise!! Great write up. It's important to share how valuable our country is. I think most of us underestimate the value.